Sant’Anna Institute offers their students of Italian language an opportunity to experience the unique culture, customs and climate of southern Italy. Sorrento is situated on the west coast of Italy, twenty miles south of the city of Naples, on the spectacular Amalfi Coast. • Stunning islands of Capri and Ischia and the beautiful villages of the Amalfi Coast (Positano, Amalfi and Ravello). • Baroque splendor and world-famous collection at the National Archaeological Museum in Naples. • Majestic Greek temples at Paestum and historic Roman ruins of Pompeii and Herculaneum. • World’s best known volcano, Mount Vesuvius. Sant'Anna Institute offers individual and group Italian language courses, as well as tailor-made programs for students with particular requirements (e.g. preparation for enrolment at an Italian university, Italian for business… ), online Italian lessons, cultural courses (e.g. cookery, ceramics, literature, art… ), and teacher training programs, all in the friendly, sun-kissed town of Sorrento. As well as traditional classroom methods of education, Sant'Anna Institute offers all students the chance to put their knowledge into practice through full immersion in an Italian environment. We consider constant contact with mother –tongue speakers to be of vital importance for a true understanding of our language and customs. Our students' training includes constant assessment of the level of learning, using tests and exams to check progress, feedback sessions, and actual level achieved. Once the course is over, we will provide students with a certificate of attendance and instructions so that they can carry on their studies on their own. Sant'Anna Institute proudly offers the CELI, By the University of Perugia (Recognized Italian Language Certification) for our students. The CELI is a widely recognized exam to measure ones proficiency in the Italian language. Sant'Anna Institute is an authorized CELI test centre. We have set up a tailor made Italian online course which gives you the chance not only to learn the language, but to do it LIVE with a teacher! With access to an exclusive video and audio LIVE conversation you will be able to follow your classes in the comfort of your home or workplace, whilst being followed by carefully selected qualified teachers. +CELI exam preparation courses online! 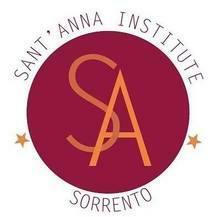 Sant'Anna Institute is specialized in organizing CELI exam preparation courses online! Evey level is welcome. Anywhere in the world you are, you can follow our preparatory courses (individual) for CELI examination (to be taken in the country of residence). Tailored to fit student’s specific needs. Lessons are adapted according to individual needs and area of interests.